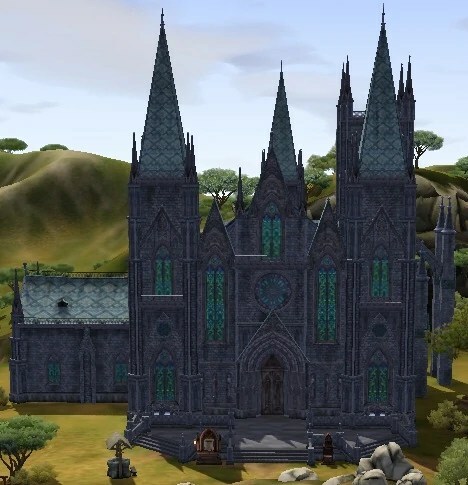 I haven’t been playing The Sims Medieval since getting The Sims 3, but I would like to touch on one aspect of the former game, namely that of religion. For the most part, it seems that the Sims games have tried to steer clear of religion. Even though you’re essentially a god in the regular Sims games, you’re never actually referred to as one. In Medieval, however, I would imagine that the role of the Church in the Middle Ages made it pretty much impossible for them to avoid this aspect. 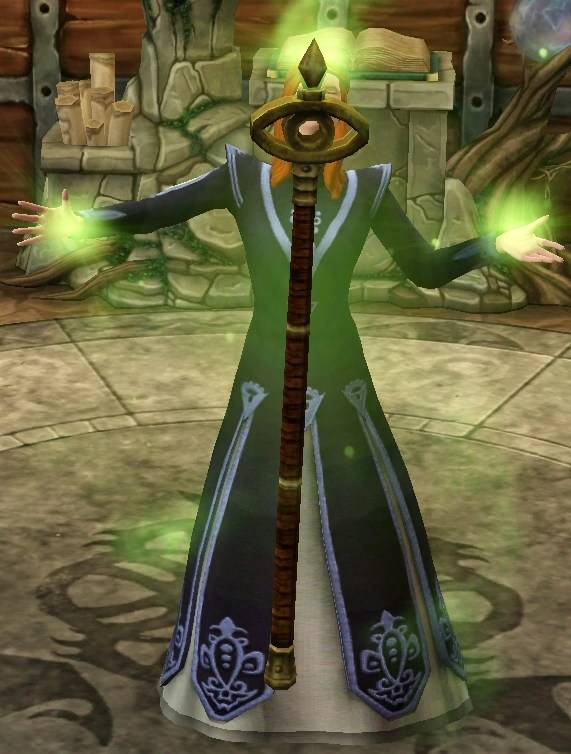 As such, the Sims worship the Watcher, who is actually the player. I guess this makes sense, as if someone was always trying to control your movements, you’d probably consider them quite powerful and want to get on their good side. The two major religions in this world are the Jacoban and Peteran faiths, both of which share belief in the Watcher, but disagree as to the deity’s nature. The Jacoban faith is more of a fire-and-brimstone sort, driven by fear of the Watcher. The Peterans concentrate more on love and kindness. 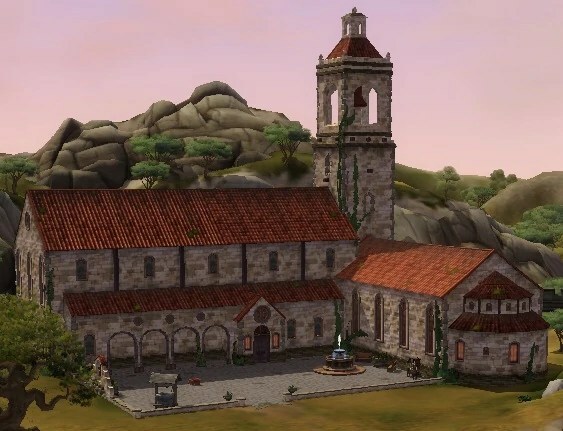 Also, the Jacoban Church appears to be a wealthier organization, or at least one that’s more willing to show off, as its priest has a cathedral and the Peteran priest only a small monastery. And according to this, the music played in the monastery is a song actually written by Richard I of England while a prisoner of the Duke of Austria. I’ve seen it suggested that the Jacobans and Peterans are likely supposed to be parallels to Catholics and Protestants, although the Middle Ages were pretty much over by the time Martin Luther came on the scene in our world. 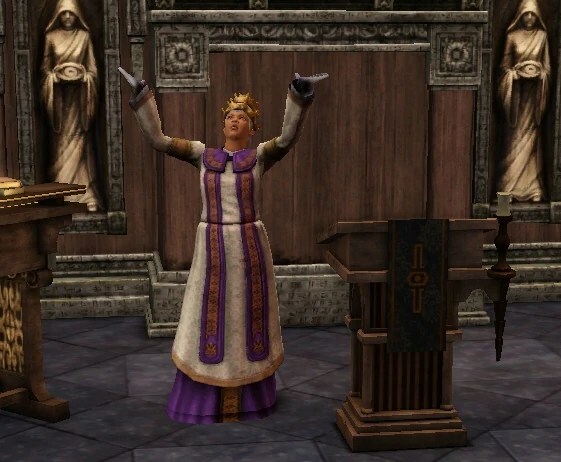 Since both denominations in the game have priests, I suppose they could be considered different sorts of Catholicism. I was curious about where the terms for the two denominations came from, but I’m not sure there was much more to it than giving them names that sounded kind of churchy. The Jacobans make me think of the Jacobites, who were actually not Catholic but Eastern Orthodox. They were named after Jacob Baradaeus, Bishop of Edessa, who was a major defender of Monophysitism. This was the belief that Jesus had only a divine nature after his incarnation, as opposed to two separate natures. Yes, it’s one of those matters that was incredibly important to the early Church, but strikes people like me as a nitpick. Anyway, the Syriac Orthodox Church considers itself to be a Jacobite organization. There’s no particular connection here to the Jacobans in the games that I can see, but it could be where the name comes from. The Peterans were most likely named after St. Peter. 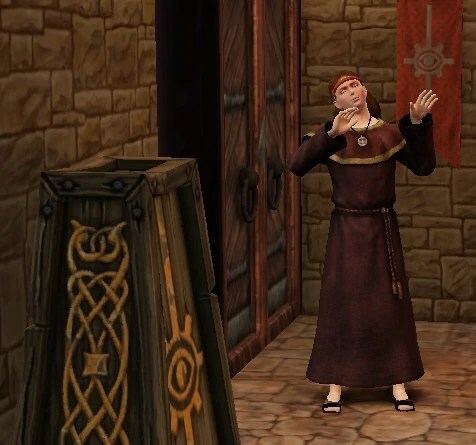 Whether the Sim world had its own religious leaders named Jacob and Peter, and whether these faiths survived into the modern Sim age, are questions that remain unanswered. I have to wonder if there are any other religions within this game. There is a druidess named Amelia who shows up, hinting at remaining vestiges of paganism, but the details of what she believes aren’t discussed as far as I know. I do find it odd that a game based on medieval times doesn’t have its own equivalent of the Crusades, which would presumably mean Muslims and Jews, or at least followers of religions very much like Islam and Judaism. Or maybe there’s a religion worshipping the Creator, to whose power even the Watcher must submit. This entry was posted in Catholicism, Christianity, Crusades, Eastern Orthodox, History, Middle Ages, Religion, Sims, Video Games and tagged druids, jacob baradaeus, jacobans, jacobites, monophyitism, peterans, richard i of england, st. peter, the sims medieval, watcher. Bookmark the permalink.